NoHo’s 45 Great Jones, a residential conversion of a lumber store, has put its planks on the market. The seven-story landmark building, formerly home to Great Jones Lumber, was redesigned by Beyer Blinder Belle. 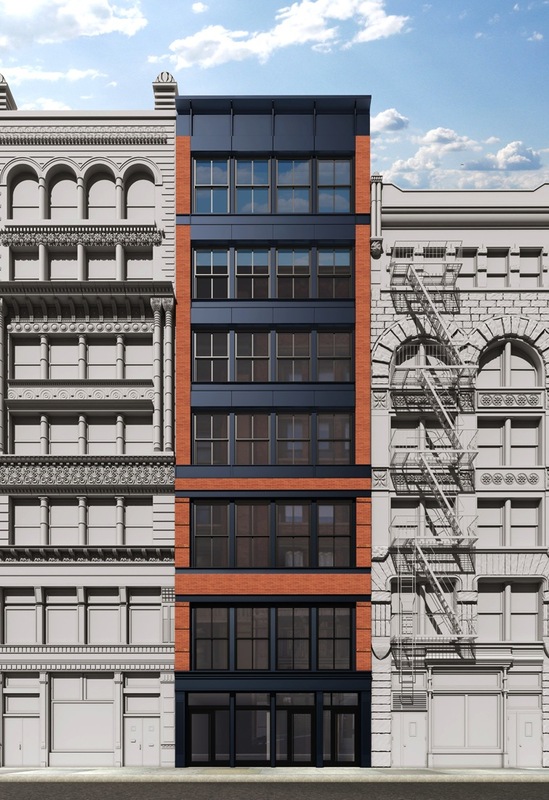 The developers are Joseph Lauto, Anthony Lauto and Don Capoccia, who collaborated on the revitalization of 48 Bond Street, according to the official site. The Lautos have owned and operated Great Jones Lumber for decades. 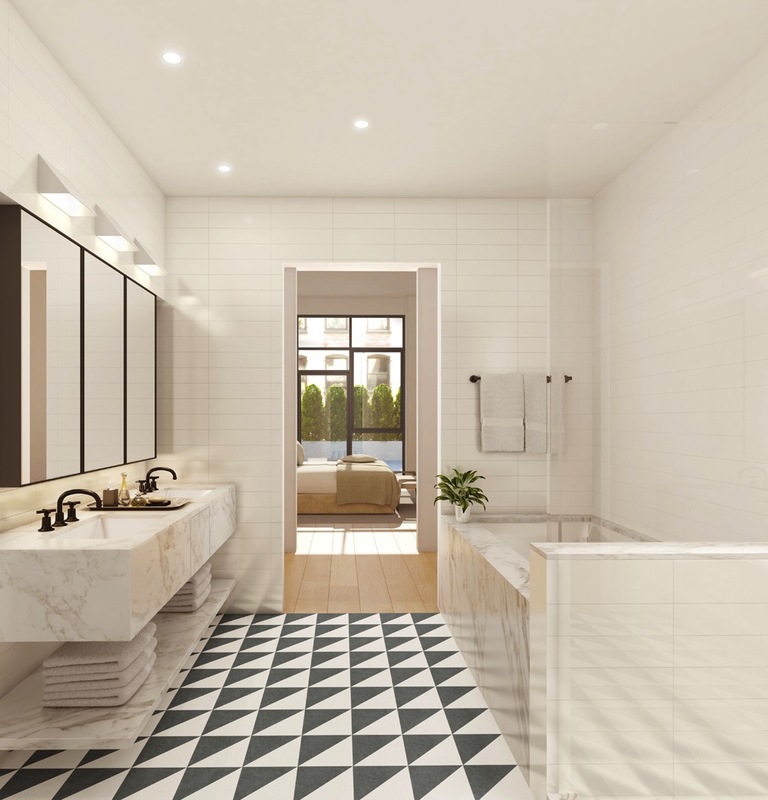 Interiors have direct elevator entry, 9″ solid white oak floors, 10-foot ceilings, custom millwork, custom cerused ebonized interior doors, individually controlled split HVAC system, recessed LED lighting and in-unit washer/dryer. 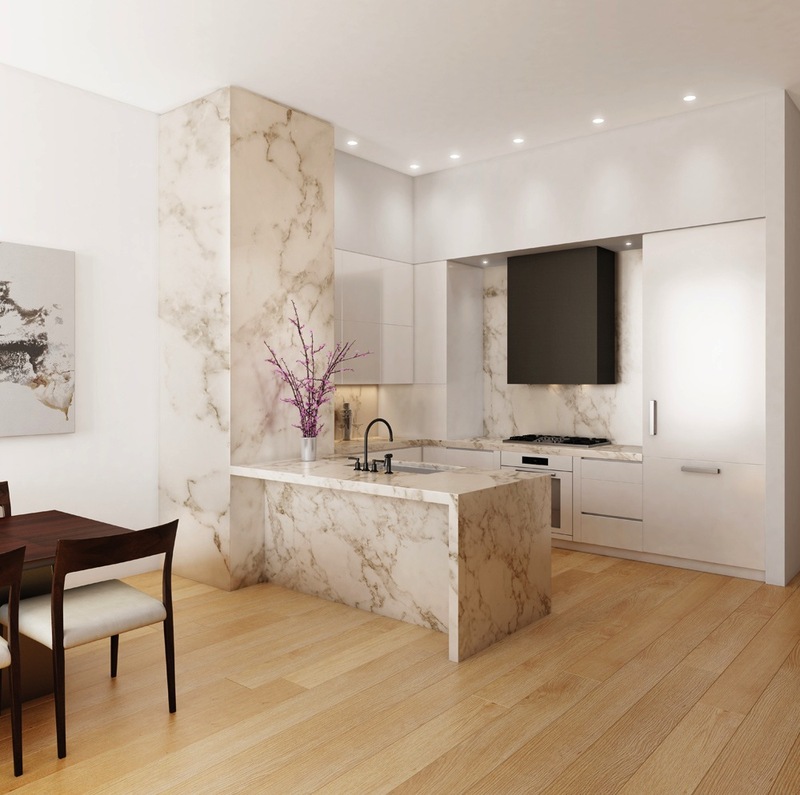 Kitchens come with Calacatta Gold marble countertops/walls/backsplash, high-gloss cabinetry and Miele appliances. The master bedrooms feature walk-in closets and dressing rooms, while the master bathrooms are fitted with Kohler soaking tubs, separate walk-in showers, radiant floor heating, Calacatta gold vanities and recessed medicine cabinets with electric defogger and nightlight. 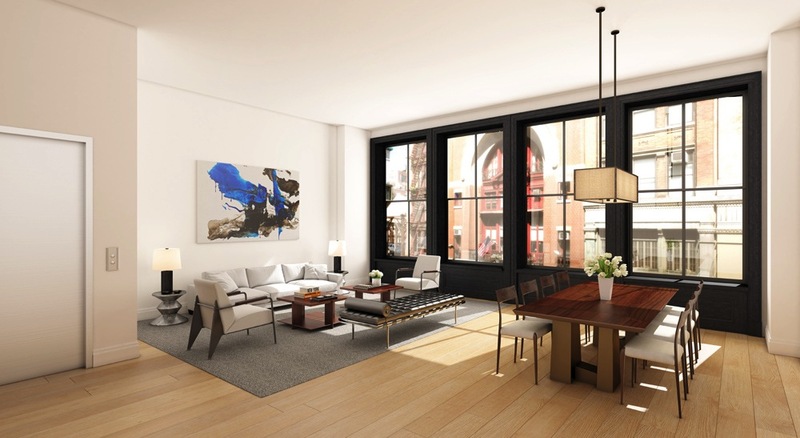 The one unit on the market is a two-bedroom, two-bathroom apartment asking $2.875 million. 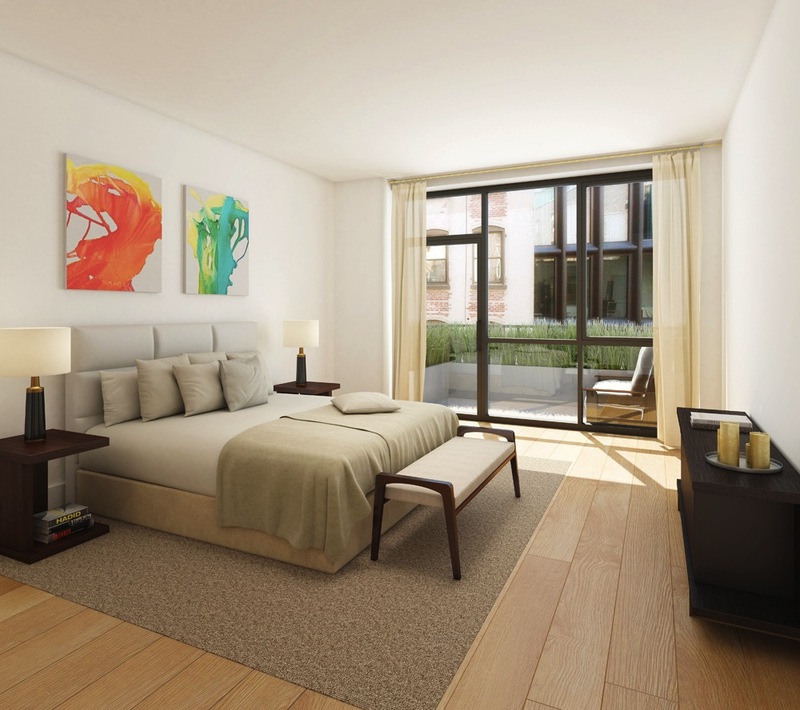 Amenities include a virtual doorman, private storage, bicycle storage and back-up building generator. Boutique brokerage Great Jones Realty is leading sales at the property.